Love going to concerts? Then these apps are musts! Music is a way of life, especially for some. I mean, who doesn't like to just sit down and relax with an hour of songs by their favorite artists while tuning everything else out? But you know what's better? Going to concerts! You'll see your favorite musicians and bands perform, while meeting others who love the music just as much as you do (or even more!). 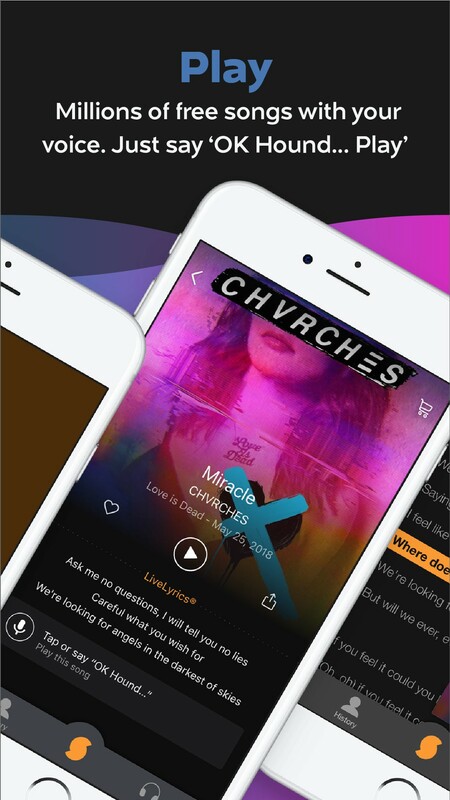 If you love going to concerts and other live music events, then these apps are must-haves for your collection. 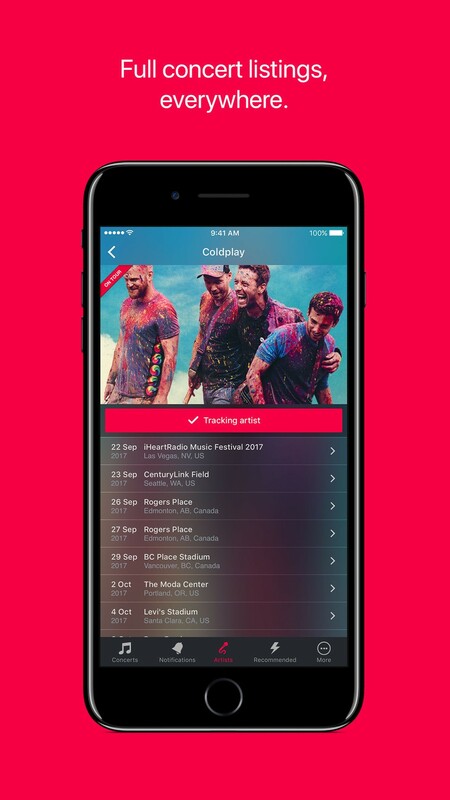 Songkick is a definite must for concert fans. It integrates with your music library, Apple Music, Spotify, and even Facebook to find out who your favorite artists are. With this information, Songkick then notifies you when your favorites announce tour dates near you, and you can even buy the tickets right from the app itself. You're able to see all ticket options and prices, every tour date and location, and even discover new bands. It's never been easier. Love concerts but don't want to pay the outrageous prices that a company like Ticketmaster charges? Then you may be better off with StubHub. The service offers tickets for all types of events, but concerts are a big one. The prices on StubHub may be lower (or higher) than face value, so you can end up saving some dough if you go this route. People often sell their tickets here if they're unable to make the event, so it's always wise to check and see what you find. If you buy a ticket and can't make it yourself, then just sell it back right in the StubHub app! You can also add your favorite artists, teams, and venues to get notified when there are new events and tickets go on sale. These days, there's a "Netflix for..." pretty much everything. For $25 a month, Jukely gets users into music shows every week across 16 cities across the globe (most of them are in the US). It's a little limited in scope right now, but if you live in one of those cities, then it's definitely worth the cost. This is the best way to get to meet other music fans and discover lesser-known bands, musicians, and DJs. When you're a member, you can browse Jukely shows within a three-day window (tonight, tomorrow, and the next day). Currently, Jukely is supported in the following cities: Atlanta, Austin, Chicago, Dallas, Denver, Houston, London, Los Angeles, Miami, New York, Philadelphia, Portland, San Francisco, Seattle, Toronto, and Washington DC. Music is all around us, but sometimes, you won't know what that song is or who sings it. SoundHound to the rescue! Just whip out SoundHound when you hear something you're unfamiliar with, give it a few seconds, and SoundHound identifies it for you like magic. You can even hook up your Apple Music or Spotify account and then listen to the song, build playlists, explore music that's similar to that song or genre, and find new favorites. Plus, SoundHound shows you the lyrics so you can sing along next time! 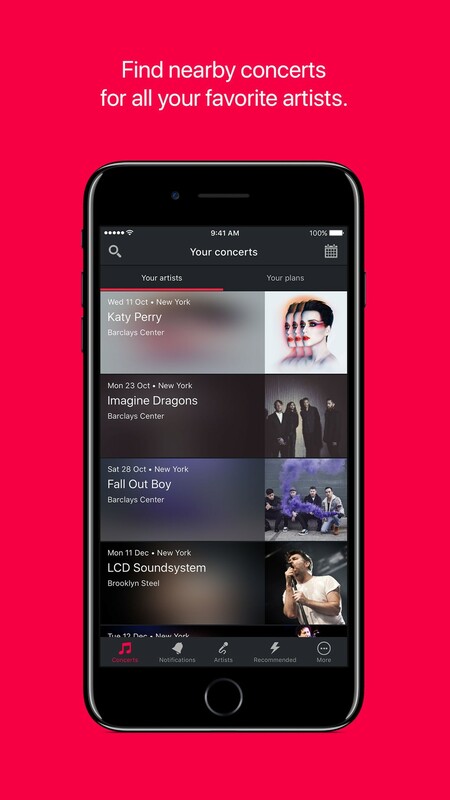 Another option to Songkick is Bandsintown Concerts. 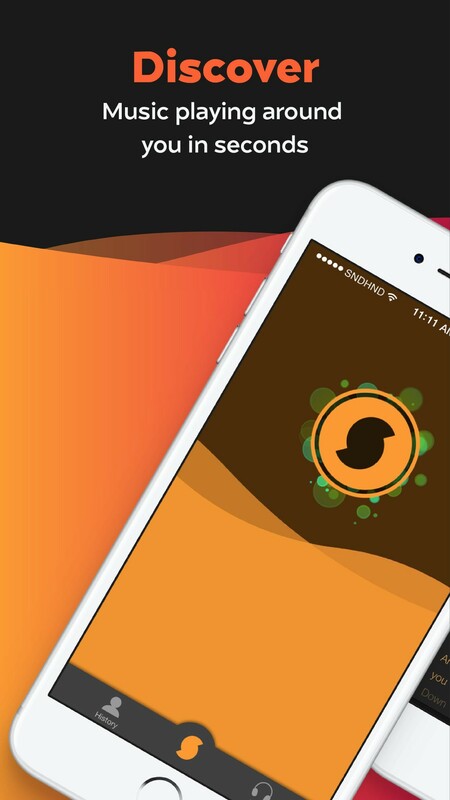 This app also integrates with your music library, Apple Music, Soundcloud, or Spotify to find your favorites and alert you when they're going to be in your own. Or you can check their full tour schedule too. 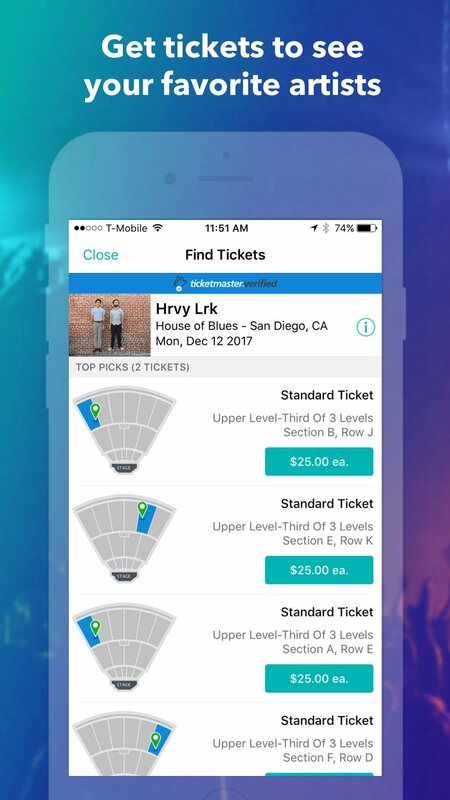 Then just buy the tickets directly in the app! 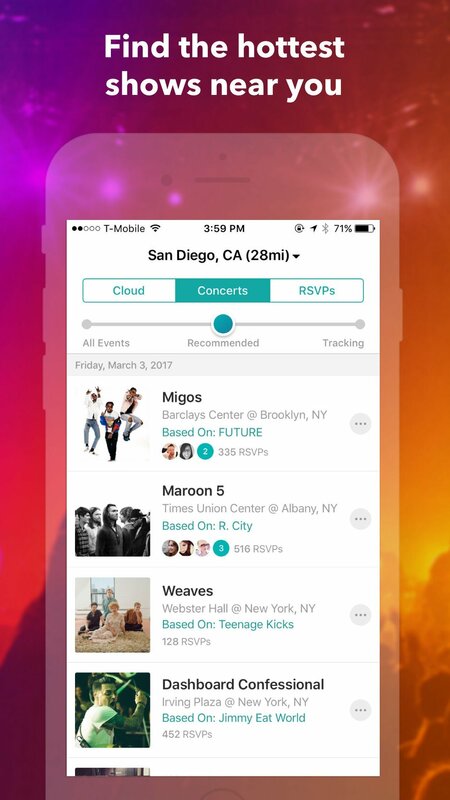 Bandsintown lets you invite friends directly, and you can post your photos from gigs to share with others. This is also a good way to discover new music too. If you want the most exclusive experiences with your favorite artists, then DICE is the way to go. 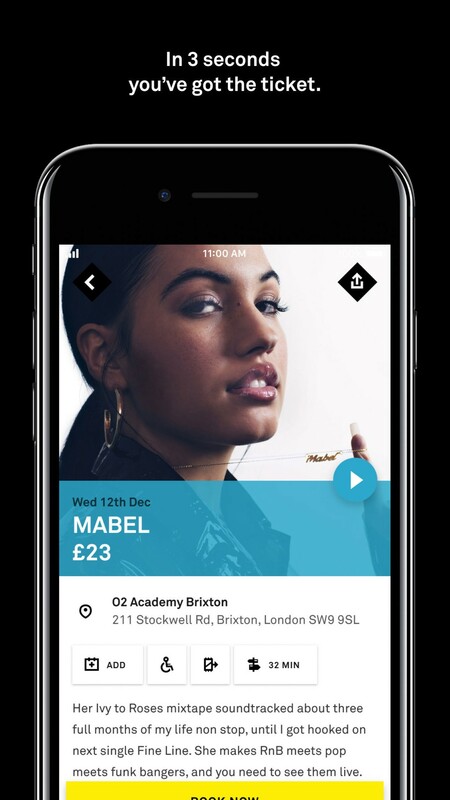 With DICE, it's possible to buy tickets to the best parties, gigs, festivals, and other events across the world that you won't find available at other places. You can buy tickets directly on DICE, and these are exclusive and cannot be resold by scalpers who charge outrageous prices. Bought a ticket but can't make it? Don't worry, DICE gives you a full refund and that ticket gets released for someone else to purchase. DICE works directly with artists big and small, so you never know what you may find here. Next time you're looking for a concert to go to, definitely give these apps a try. They'll not only help you get your tickets, but you can save some money doing so, try new experiences, meet other like-minded people, and just discover new tunes. What are your favorite apps for concerts? Let us know in the comments!